If you don’t mind your whiskies a little off-centre – much like our chief engineer Dave Broom – then the first whisky in this newest batch will serve you well. 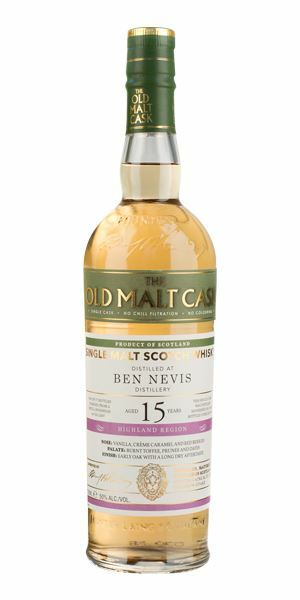 But be warned, this particular Ben Nevis is probably not suitable for vegetarians/vegans… Next is a 25-year-old Bruichladdich, packed with the distillery’s distinctive fruity character, before the first of two ‘gorgeous’ Glen Elgin bottlings, this one aged 21 years and bottled by Cadenhead. 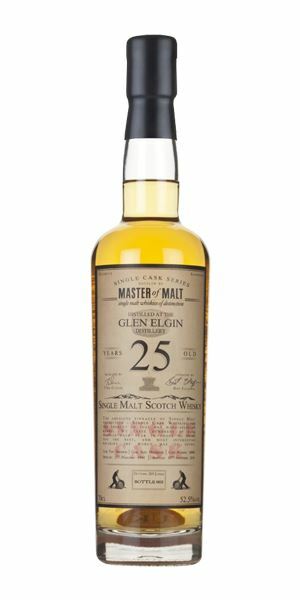 The second, aged slightly longer at 25 years old, is from Master of Malt and carries a hint of mint and apricots. Another release from Master of Malt follows – a 23-year-old Glenrothes, full of fruits, nuts and a touch of citrus. 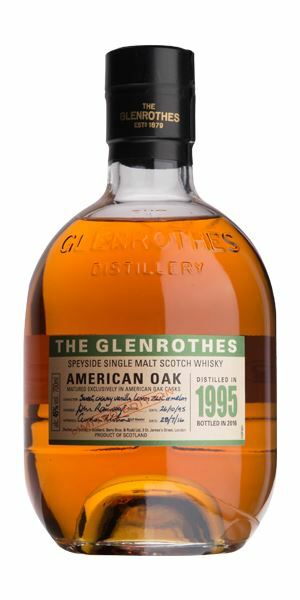 And Broom sticks with Glenrothes to finish this week’s tastings, with the distillery’s relaunched 1995 American Oak vintage. It’s Ben Nevis all right; big, meaty, with traces of its sulphury new make still lingering. It’s reminiscent of a steak thrown athwart the flames, coated with tamarind. There’s also some earthy dried grasses, red liquorice, before some hints of fuselly pot still rum. Water makes things lighter – Zippo lighter, in fact. Big, oily and unctuous. 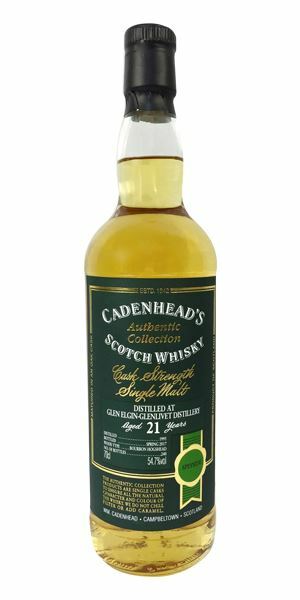 As you may have already gathered, it’s not subtle (or for vegans), but there is that heavy, floral lily shared with Craigellachie, which shows promise – and it’s this element that comes through with water, adding a gentle silkiness to all the madness below. That flow when water is added shows how this would have developed in a couple of years. At the moment – for those who don’t mind their whisky hefty and slightly strange… like me, in fact. Peter Fonda in ‘The Young Lovers’/ Primal Scream in the ’90s. Has all of the distillery’s distinctive, fat fruitiness, here coming across as peach juice and elderflower cordial, with some sweet, nutty almond for interest. A light chalkiness, before a squeak of Magic Marker. With water, you get light cereal, plum skin and unripe pear. As the nose implies, it’s all ripe and fat, buttery even, but it’s retained its fragrance. Water brings this further forward, although it does then lose a little energy. Though it’s been kept in Burgundy cask since 2011 there’s no overt wine-iness (thankfully). Aperitif? No, I’ve got two already. Attempting to revise for exams in a sunny garden. Some vanilla to start with, bringing to mind white chocolate ice cream. There’s some cask influence here (which is more obvious when compared to the Master of Malt version below), with some sweet sawdust alongside the distillery’s classic peachy notes. Water brings out more lactone. A quiet start, with touches of mint alongside lemon verbena, then apricot with the oak adding some grip. It’s similar to the old ‘White Horse’ Glen Elgins, with generous, but gentle, sweet fruits. It needs water, though, which pulls the oak forward. The only issue here (and I’m being harsh) is that the oakiness isn’t quite fully knitted, but this remains a gorgeous dram. Being carried away by the romantic roller coaster of Chopin’s Preludes. Gentle, fruity and very spring-like from the start: white grape juice, apricot skin, hints of apple blossom and sakura. Utterly delightful. Water takes it into blackcurrant leaf and white fruits. Fragrantly fruity with just a tiny jag of acid as well. Juicily fresh with some basil, a hint of oak allowing some dry structure to add balance, then comes agave syrup to flesh everything back out again. Water makes things too light so, despite the strength, I’d keep it on the side. 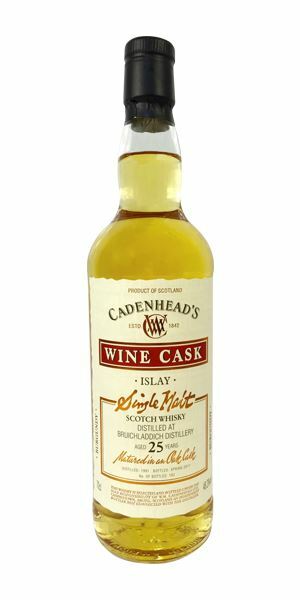 As well as a fascinating comparison to the Cadenhead bottling, it’s also a companion piece to the ’Laddie. A gorgeous Glen Elgin for a spring day. First weekend of spring, listening to the wonderful Rachel Newton. Buy her work! A medium to rich nose that drifts towards the maltier style of ’Rothes, trailing cashew macadamia in its way, along with set clover honey and honeysuckle blossom. There’s some depth and a little of the distillery’s funky, old damp tweed element. Water brings out clootie dumpling skin. … into a background buzz of alcohol. It’s a lovely ’Rothes, just lacking in energy. Big, with some butterscotch, creamy toffee and blurry baked fruit, alongside some dried peach. There’s good weight and depth and, as with the Master of Malt bottling, a touch of lemon peel. With water, some black banana and a refined earthiness. Very soft and gentle with a lightly honeyed quality that moves things into maple syrup and those macadamia nuts seen in the previous example – though now there is added violet chocolate, apple cake, sultana, red cherry and toffee. Water reveals some tannin, but also amplifies (from the mid-palate on) those pillowy fruits. A calm and reflective ’Rothes. … the anglers wander back, mud on their fine brogues. 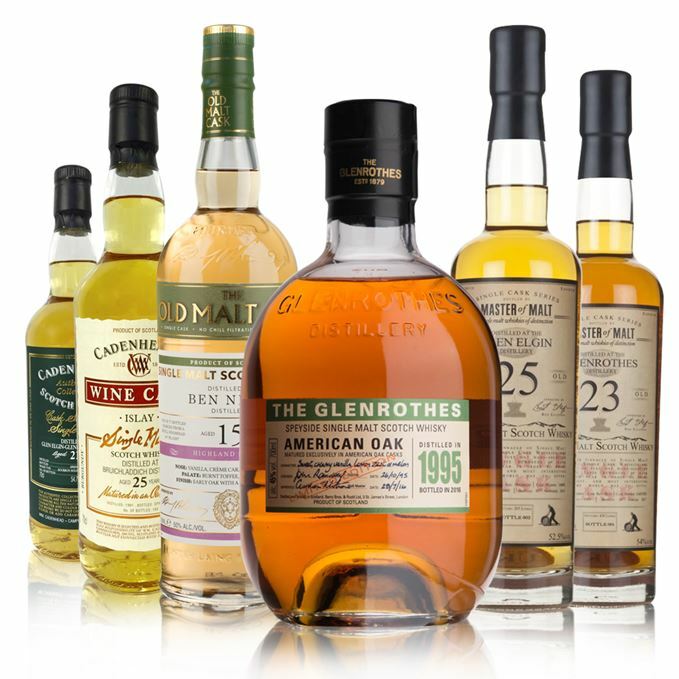 Batch 92 21/04/2017 A double hit of BenRiach, then Benromach 1975, Caperdonich, Craigellachie and Inchmurrin bottlings.